Raja Ravi Varma was born to Umamba Thampuratti and Neelakandan Bhattathiripad in the royal palace of Kilimanoor. The inborn talent of the painter started showing at a very tender age. Recognizing the innate aptitude of their child, his parents sent him to study under the patronage of Ayilyam Thirunal Maharaja of Travancore, when he was only 14 years old. He received tutelage, first, from the palace painter Rama Swamy Naidu and then, from Theodor Jenson, a British painter. Raja Ravi Varma got married to Rani Bhageerathi Bayi (Kochu Panki Amma) of Mavelikara Royal House. He spent the later years of his life in Mysore, Baroda and a number of other cities in the country. This exposure helped him in broadening his outlook. At the same time, he was able to expand as well as sharpen his skills and evolve into a mature painter. It is the third category of paintings for which Raja Ravi Varma is the most renowned. He was continuously traveling through the length and breadth of India, in order to find subjects for his paintings. His love for the South Indian women is depicted through his works. In many of his paintings, he has modeled Hindu Goddesses on the women living in the southern parts of India. The most popular as well as impressive paintings of Raja Ravi Verma include the ones depicting episodes from the story of Dushyanta and Shakuntala and that of Nala and Damayanti. 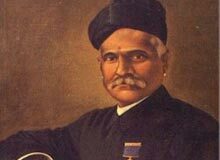 At times, Raja Ravi Varma is criticized for being too showy in his paintings. His paintings are also condemned for overshadowing traditional Indian art forms, especially the ones depicting Hindu Gods and Goddesses. Raja Ravi Varma's approach is said to lack the dynamism of expression seen in the traditional paintings. Critics have also disapproved of his rejecting the traditional models of representation of deities and reducing them to the level of mortals. In recognition of the immense contribution of Raja Ravi Varma towards Indian art, the Government of Kerala has instituted an award in his name. Known as the 'Raja Ravi Varma Puraskaram', the award is given to individuals who show considerable promise in the field of art and culture. There is a college in Mavelikara district of Kerala, established in the honor of Raja Ravi Verma. He also received international recognition in 1873, when he won the first prize for his paintings at the Vienna Art Exhibition.